This PDF 1.4 document has been generated by Canva / , and has been sent on pdf-archive.com on 30/12/2016 at 18:16, from IP address 27.7.x.x. The current document download page has been viewed 191 times. File size: 304 KB (10 pages). offline, it will available in the university campus. 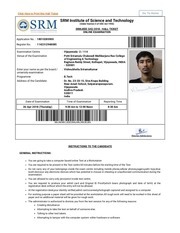 The amount of registration fee is Rs 900.
official website of the SRM University. subjects and must have passed in English. The field of biology in the 12th class examination. SRMJEEE by creating a new password. Fill in the facts required in the Application form. the payment of the Application fees. application kinds as this information to be used for all communication purposes. Application form during the screening process. which must be read carefully by the candidates. Any errors in the program form must be noted straight to the head office. 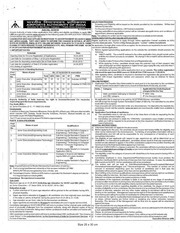 any details regarding the examination can be directly conveyed to the candidates. OFFICIAL WEBSITE OF SRM UNIVERSITY. The SRMJEEE 2017 application form will be available from the third week of October 2016. Keep all your credential safe for further use. Apply online followed by e-payment. Fill the OMR application form and send it to the University address. Apply online with unique voucher code. form to the University address is given in the envelope. 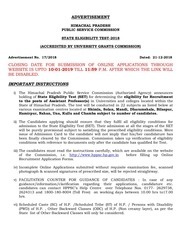 Application fee of Rs 1000/–will be charged from the candidates against the application form. Exam will be released in the month of October 2016.
on or before the deadline. Read the details here. This file has been shared by a user of PDF Archive. Document ID: 00530065.